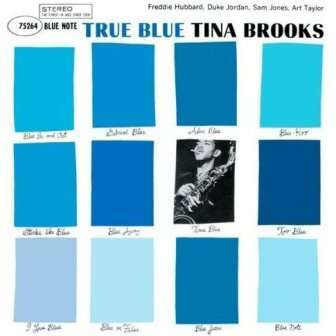 Tenor saxophonist Tina Brooks was one of Blue Note’s lesser known and commercially less successful luminaries. This fact should not detract from the observation that he was a player of some not inconsiderable talent. He himself conceded that he focussed on feeling more than technique, though going from ‘True Blue’, his technique was superb too. Tina Brooks remained something of an enigma until the Jazz scene discovered this rare album – original New York pressing go for silly money! ‘True Blue’ was recorded on June 25 1960. It features a quintet and the horn player alongside Brooks is Freddie Hubbard and his trumpet is prominent. The two compliment one another perfectly. Five of the songs are written by Tina Brooks, the other ‘Nothing Ever Changes My Love For You’ is a bright and breezy interpretation of the Nat King Cole hit. ‘Good Ole Soul’ is a slowish blues that flows gently with Brooks, Hubbard and pianist Duke Jordan on solo duty. ‘Up Tight’s Creek’ and ‘Theme For Doris’ epitomize the Hard Bop Blue Note of the time. ‘True Blue’ is the outstanding composition with its unusual piano riff giving a staccato feel that Sam Jones’ bass softens.